Charlotte has joined Barton Lodge after graduating from Liverpool University. She is interested in all aspects of small animal veterinary medicine and surgery. 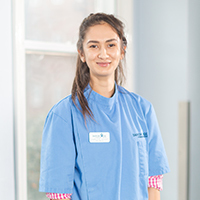 Charlotte is following the Independent Vetcare graduate programme of continued education to develop her skills further. She is enjoying meeting all the clients and pets at Barton Lodge.